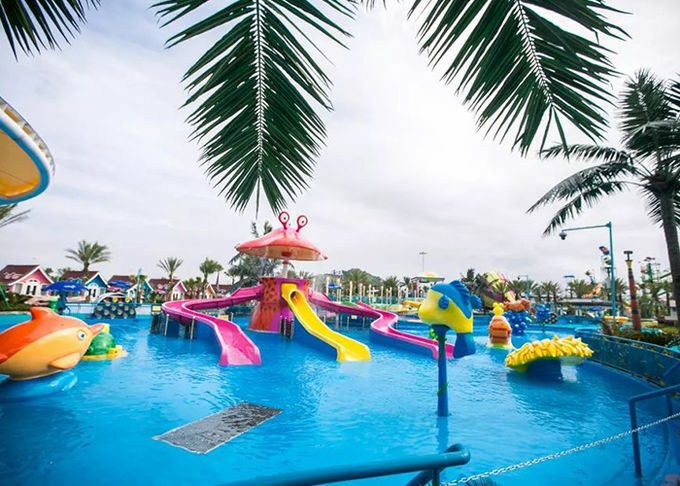 The sea paradise of Allah is located in Damuwan New Town, Ningbo, Zhejiang, covering an area of ​​about 200,000 square meters, with a total investment of 680 million yuan. 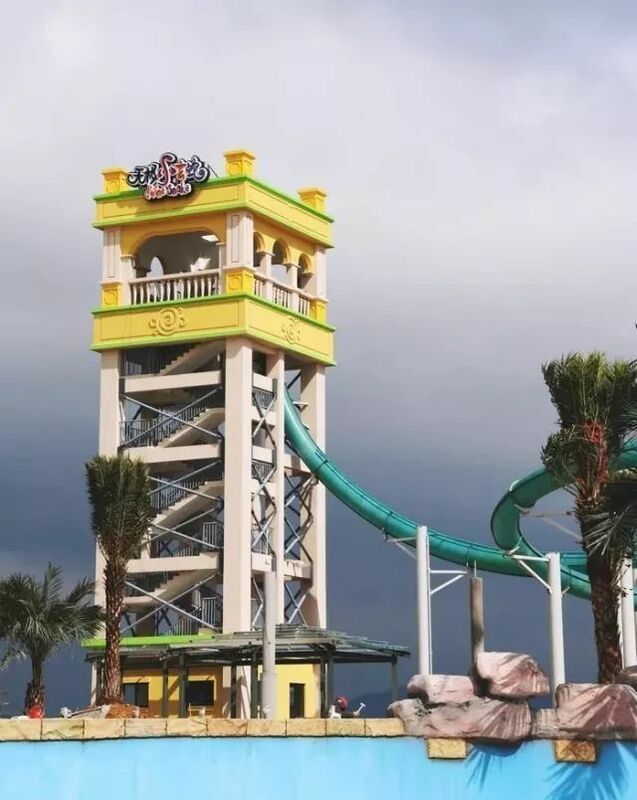 The water park is based on the maritime Silk Road as a cultural background, with a traditional fishing culture with regional characteristics as the main line of the nautical era fantasy adventure story, and the integration of six regional culture of themed IP characters, so that tourists indulge in the landscape Experience the magical East China Sea journey at the same time. 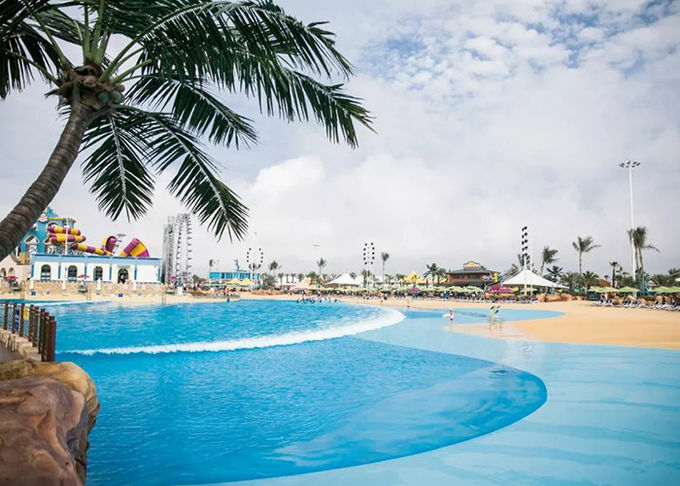 The wave pool area, in the surf pool, is slammed, sprayed, and feels the upgrade and charm of the sea, and enjoys the coolness and comfort of the beach. I feel the thrill of surfing and surfing. 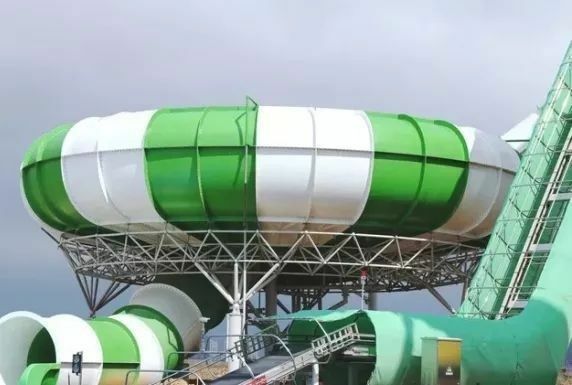 The slide is 20.8m high and 161m long. 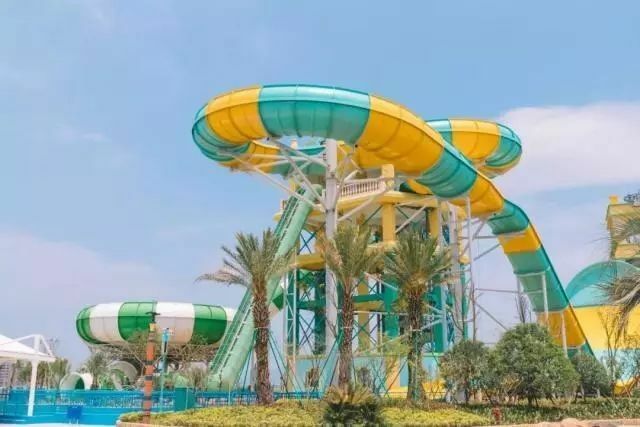 Tourists ride on the four-person raft, grab the handrails on both sides, and use their own gravity to slide down the slide along the slide. 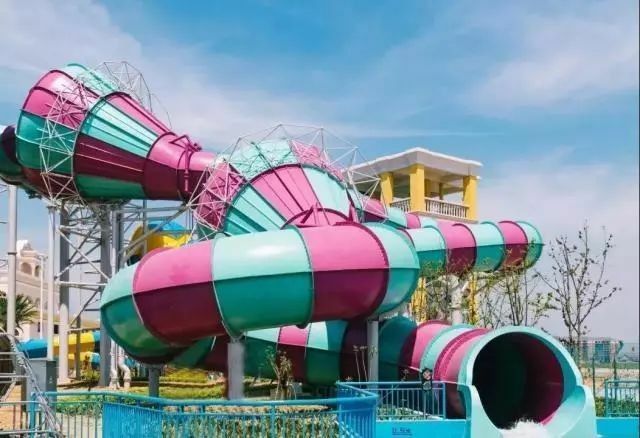 There are six identical slides with a height of 15 meters and a length of 91 meters. Visitors lie on a rectangular slid blanket, hold the handle of the rug with both hands, and use their own gravity to slide down the FRP chute under water lubrication. The large joy water village is very popular among children. 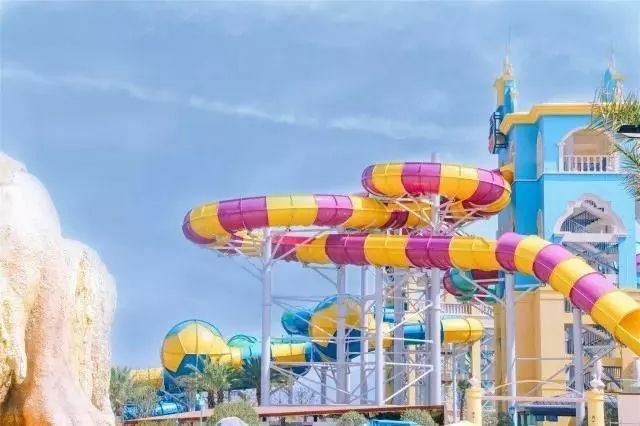 There are water pressure board, hand crank, water cascade pool, water curtain tunnel, water swing, spiral slide, water wave straight slide pool, big bucket, hand control spray gun. 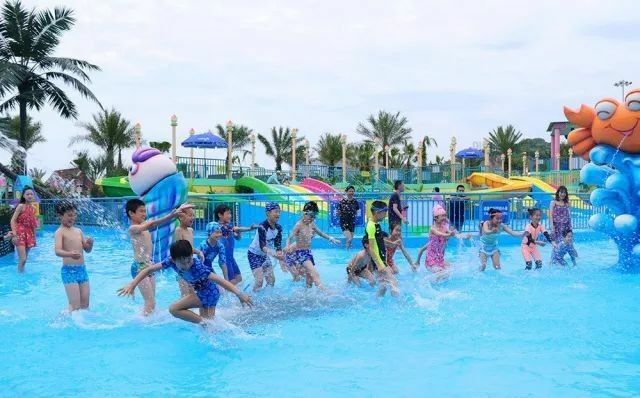 Etc., it is a water entertainment project that is very suitable for children and children. The equipment slide is 18.5m high and 139.7 meters long. Covers an area of about 1200 square meters. Tourists ride on a four-leaf clover-shaped raft (4 people), grab the handrails on both sides, and use their own gravity to slide down the FRP chute under water lubrication. 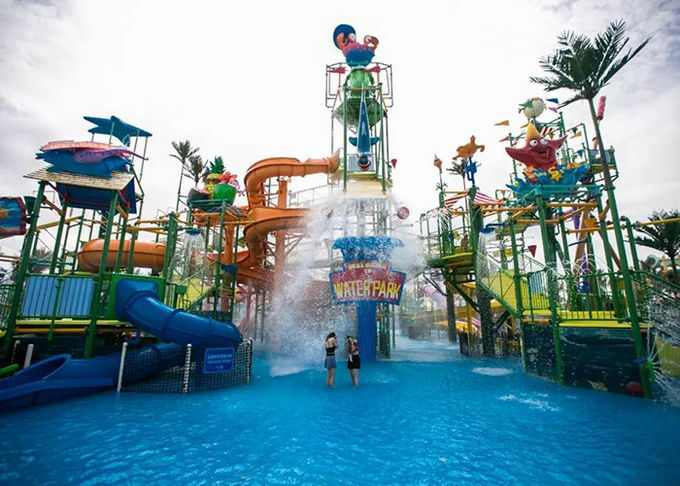 Designed for parents, there are more than 30 large water toys for children and families. It is a holy place for family relaxation and a paradise for children. 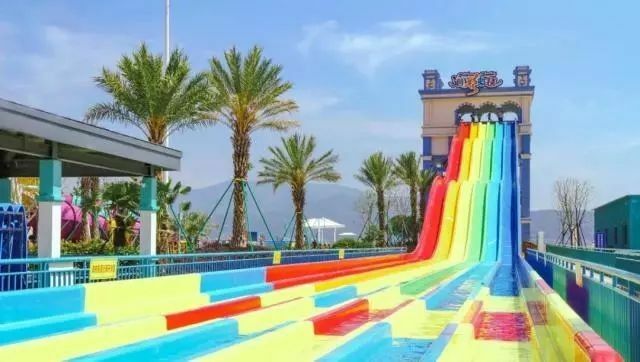 Bowl water slide is one of the most popular large slides, which will bring you an unparalleled pleasure in playing with water. 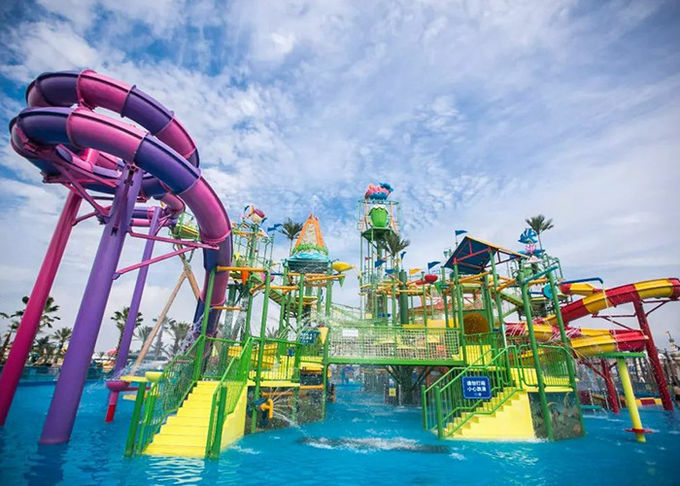 It is exciting, thrilling and attractive water slide sports equipment for adult or famliy.